This Correctional Officer Brotherhood (COB) DOG TAG features the COB WORLDWIDE logo with razor wire ($3.00 each) . 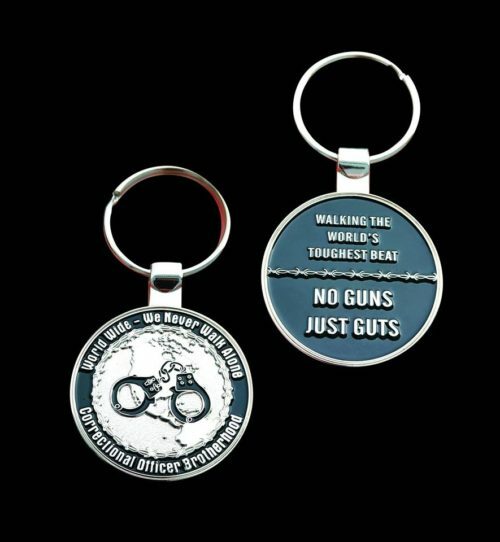 Corrections professionals will be proud to have this stylish dog tag to wear around their neck or hang on the rear view mirror of their car. 150 pieces need to be manufactured. Please allow 1 to 2 weeks for delivery. Thank you.